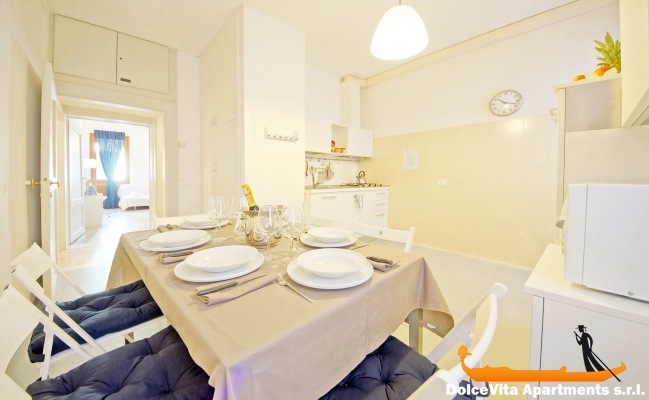 Apartment N. 161: It can accommodate up to 7 people, it is rented from 88 € per Night (not per person). 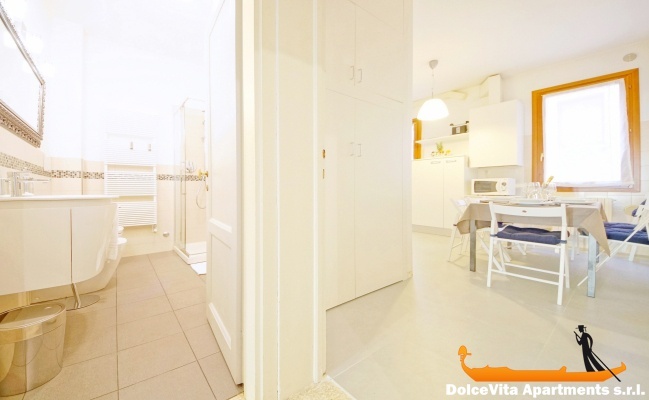 Venice Apartment near Rialto Bridge: This apartment is large and extremely comfortable: a five-minute walk from the Rialto Bridge and less than ten minutes from St. Mark square. 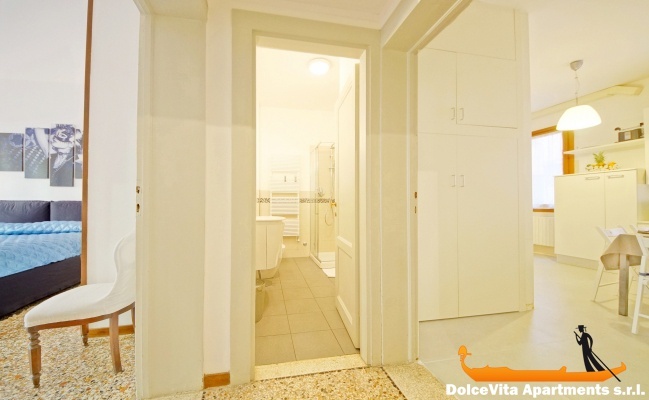 It is spread over an area of 80 square meters, it is on the first floor; there are two bedrooms (one triple and one double), whose windows overlook the charming Santa Marina square. The living room is large and bright, in addition to television, there is a comfortable sofa bed. To complete the description there are a fully equipped kitchen, and a bathroom with shower (completely renovated on January 2015). it can accomodate up to 5 people. The apartment is equipped with sheets, blankets and towels. The air conditioning and ADSL 20 mega are included in the final price! 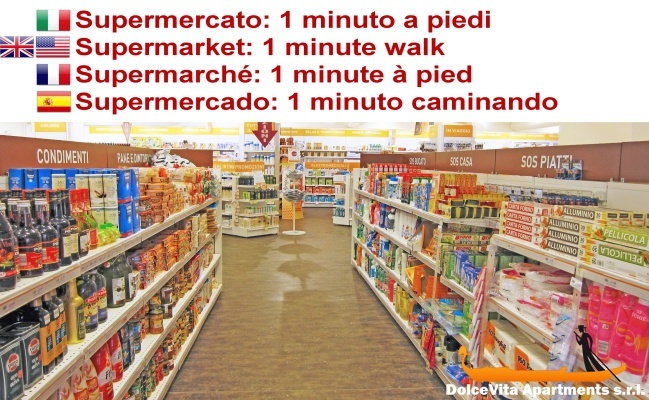 Under the house, without crossing any bridge, you will find: supermarket, newsagent, bar, restaurant and bakery. Service x 161 apartment booking, all excellent, excellent treatment. Recommended. Thank you . All the kitchen equipment and a new stove! By choosing you I chose well. We had a great stay in this apartment. 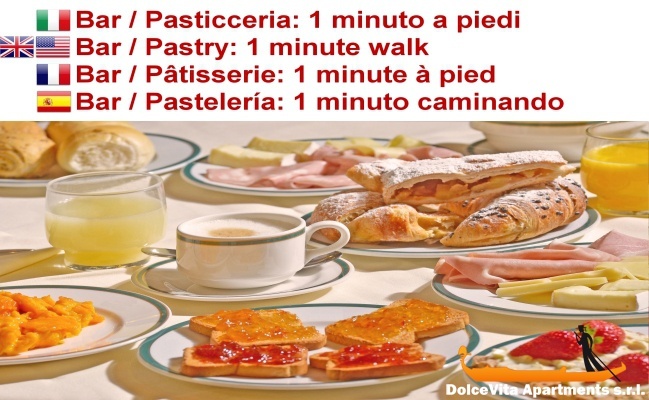 1 minute from a supermarket and 5 minutes from a delicious pizzeria bakery. 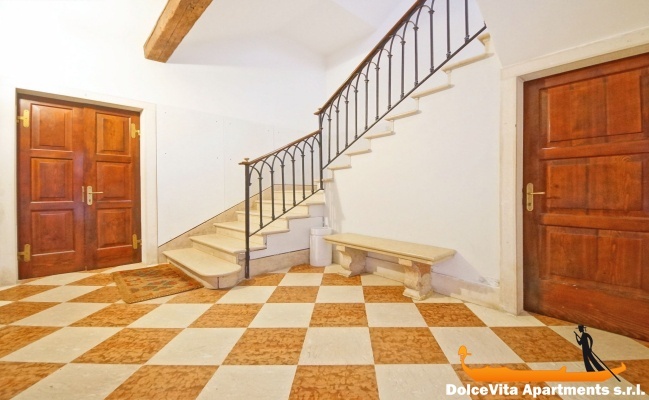 Close to the Rialto Bridge and 15 minutes walk to the beautiful San Marco Square. Eugenia answered all our questions before the stay and Elisabeth picked us up to take us to the apartment and explain to us everything. Very clean apartment, close to the Rialto area and St. Mark's, but located in a quiet area with several services nearby. Spacious and functional apartment. Clean and spacious apartment, good location, but noisy: restaurant bar underneath. Venice is beautiful, we had a pleasant stay, apartment to recommend to friends. Very nice apartment, spacious comfortable, well-equipped well located, view of beautiful square, close to a supermarket so convenient with children. Clean and very quiet. 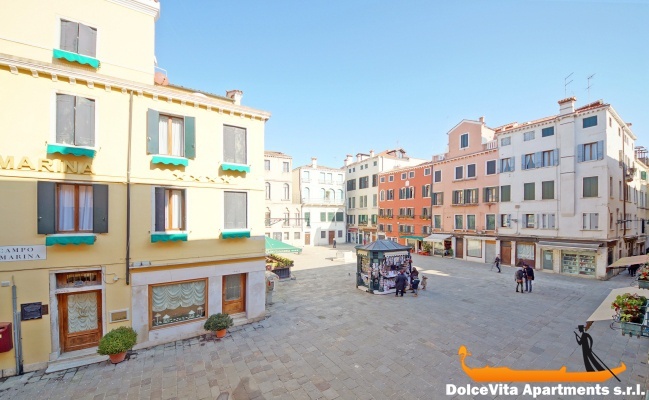 Apartment in great location to see Venice on foot or by boat, quiet and spacious. Silvio was very kind to come to the Rialto bridge to take us despite the delay. 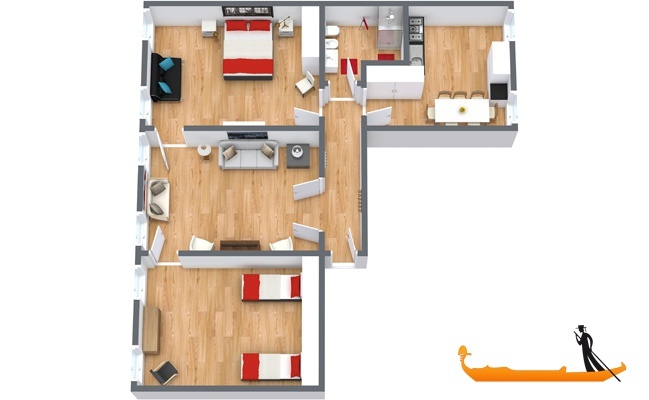 Review - a nice light apartment with spacious bedrooms and very comfortable beds. Good lighting in the living room but the main kitchen light rather dim. Your service - Silvio was exceptionally helpful and could not have been more kind and thoughtful and very patient with these golden oldies!! Nice apartment very well located, quiet. 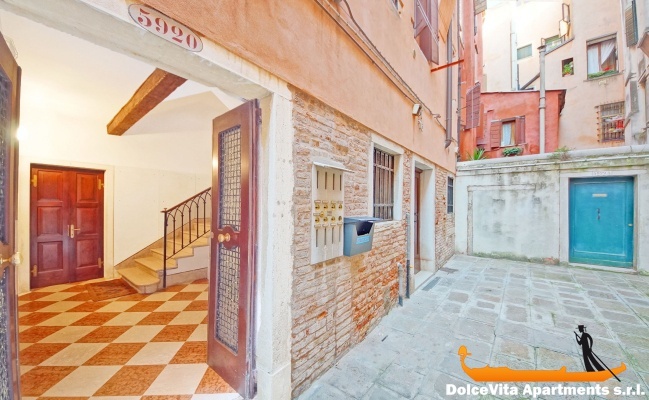 Apartment very well located to fully enjoy Venice. Pleasant area with all amenities on site. The apartment is spacious, very bright, well furnished, in the kitchen there is all necessary equipment. It is located in an area extremely quiet, which is great there is a supermarket just next door. The apartment was perfect, clean, quiet, well located, a grocery store nearby. The whole family loved her stay in Venice. Impeccable service to our arrival Orsola welcomed and informed us. 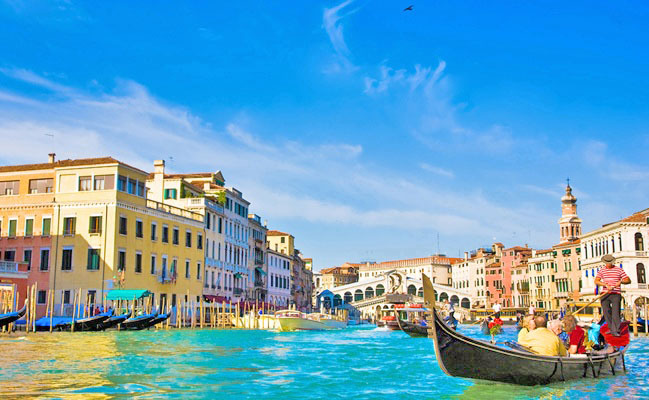 When we return to Venice, we will repeat the experience with your company and we will refer to our friends. Thank you for the excellent service to all the team. Spacious and very well located. We were only down 7 the sofa 1 place just to sleep a little. Ventilation of the bathroom a bit noisy. But that does not change our positive opinion. Everything went well from first contact to the delivery of keys. Excellent. Our stay in Venice was very enjoyable. The apartment we rented was very well located near the Rialto Bridge and St. Mark's Square. In a quiet neighborhood with nearby small shops (Coop, restaurants ...) The apartment was well arranged with all amenities. For me it deserves the rating of 5/5. The organization was also perfect. As soon as we arrived Marco accompanied us to the apartment. Regarding you, Eugénie, I have only praise for you, you were perfect. We very much appreciated your service, everything was in line with what was said in the e-mail exchanges, either for the accuracy of appointments, payments for the apartment and help to get a taxi. Regarding the apartment 161, it is very well located and it met our needs. 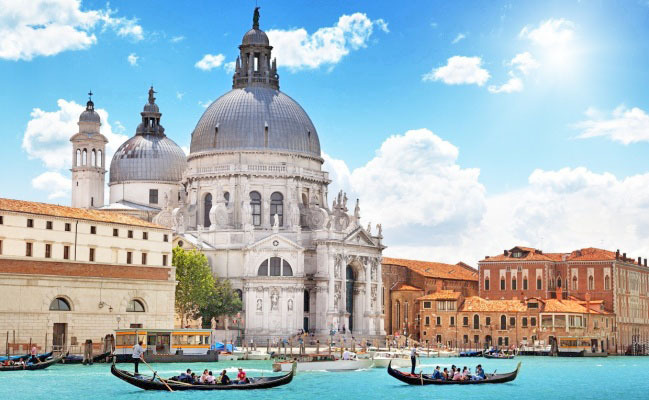 However thanks to your services and the apartment,we had a very pleasant stay in Venice and we will not hesitate to contact you or to recommend you. Apartment well located, spacious for a big family. The location is fantastic close to all the main sites. 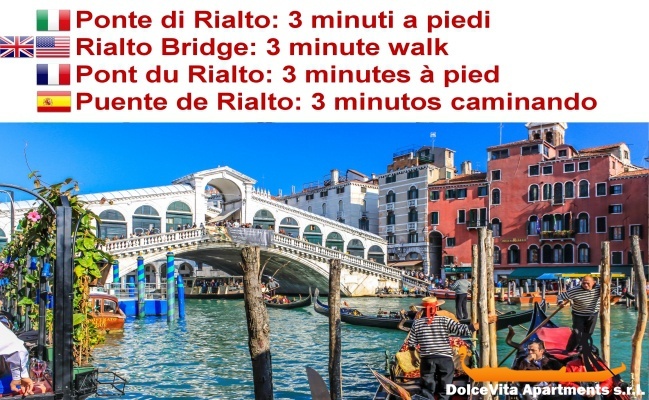 Walking to St. Marc's square one way and Rialto bridge and the grand canal the other. The apartment is clean and the bathroom and kitchen are new clean and bright. Fantastic large apartment is great for a family. Two thumbs up from our family. When we come back we will be booking the same Accomadation again. Our stay in Venice was very enjoyable. The apartment we rented was very well located near the Rialto Bridge and St. Mark's Square. In a quiet neighborhood with small shops nearby (Coop, restaurants ...) The well appointed apartment with all amenities. For me it deserves the rating of 5/5. The organization was also perfect. As soon as we arrived Marco accompanied us to the apartment. As for Eugenia, I have only praise for you, you were perfect. Our stay was very fine. The welcome by Fosca was very good. The apartment is very well located and it is very clean, the bedding is of very good quality. Next time we will contact you directly for another booking, treated everyone well. 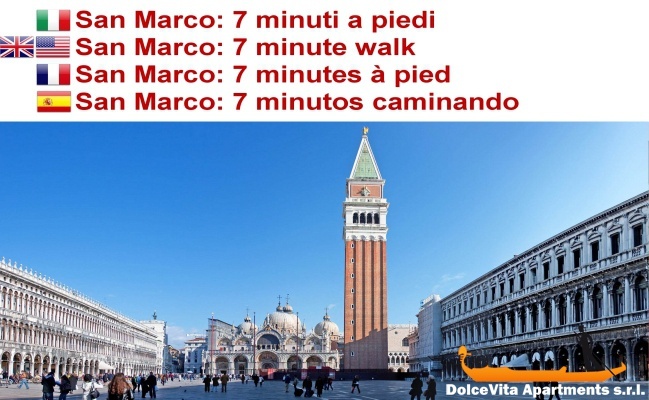 The main advantage of the apartment is definitely the location: very central, we walked around Venice with ease, breathing the air and the atmosphere of the city. Internally the apartment is very basic, but functional: there is what you need, with large spaces, which is very valuable for those with children who always want to move. We are pleased with our stay in Venice. The rating for the apartment is 5. 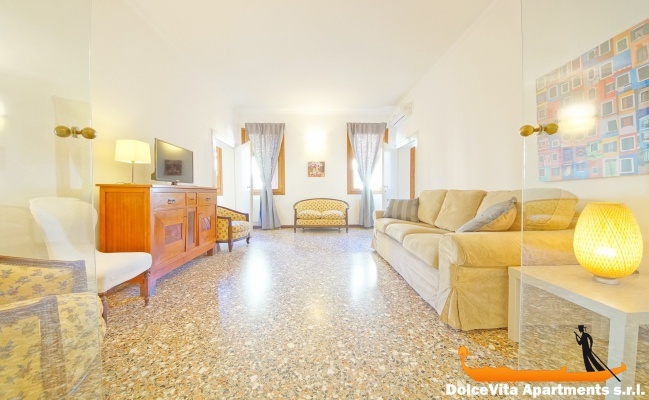 The apartment is quite spacious and suitable for a short stay of two families. The rooms were spacious, comfortable and bright. The view of the square very pretty and the linen adequate. Everything was excellent. The apartment was clean and spacious. location. Was very good and close to rialto and St marks sq. 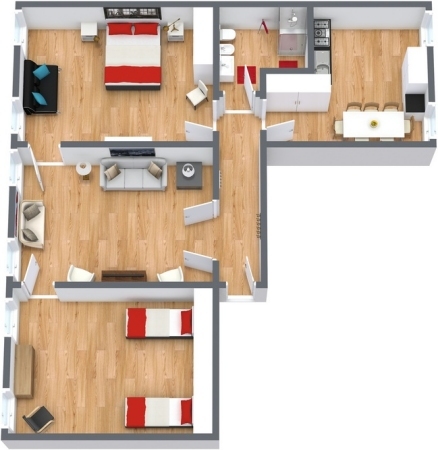 Wonderful apartment, excellently located and very clean and spacious. We highly recommend it. The girl who welcomed us nice and very sweet, very kind! We loved the apartment, it was large and clean. We found everything we needed, even in the kitchen. Ursula and Marco and team were amazing. I made some errors on my end with arrival times and kept them from their day. They were so patient with me and still met our family of seven with a smile at the Rialto bridge and walked us to the apartment. For that, I am forever thankful. 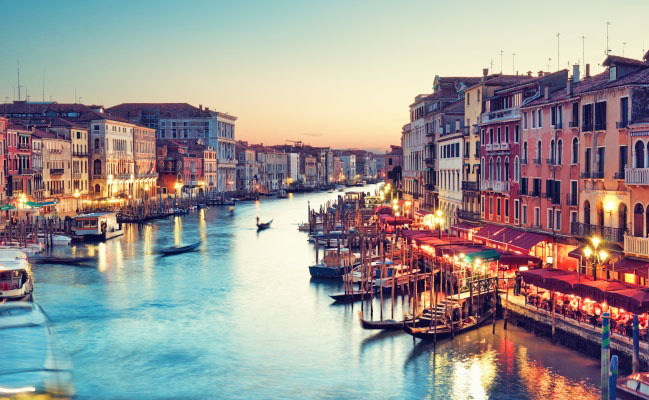 Comments: I will highly recommend this apartment to friends and family who travel to Venice...and my reasons are as follows: as you come off the train, we took a water bus to Rialto bridge where we were met. This was important as it's can be difficult to find. Once we arrived we paid amount owing In full and I was provided a receipt. The apartment is beautiful. We had three adults and four children and ample amount of space, and comfortable. 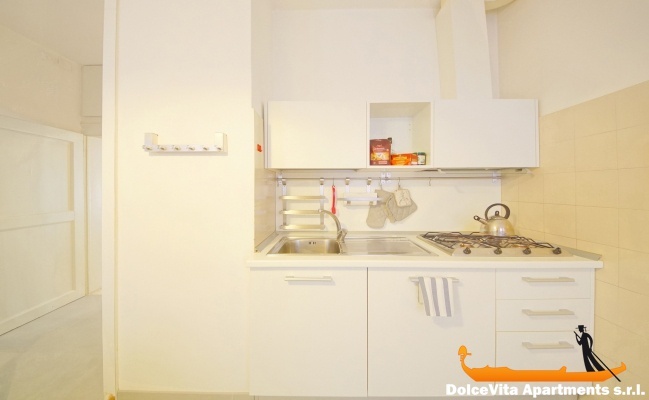 There is a full kitchen for those who prefer to cook and a washing machine for your clothes. We entered the address of the apartment Into our phone and this assisted us greatly with finding our way back. I loved it as it was soooooo very quiet as it's exceptionally noisy when you get to tourist areas. 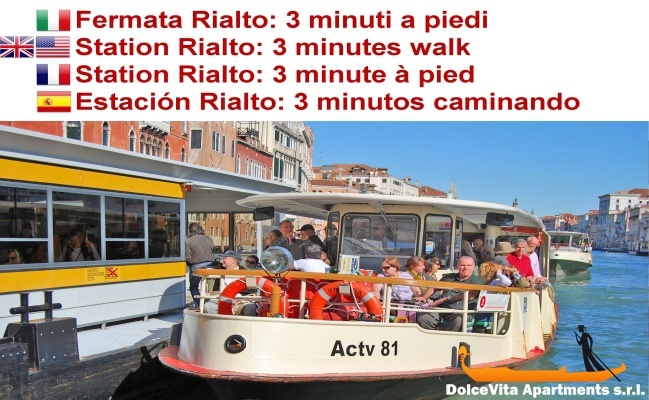 We were five minutes walking from Rialto Bridge and walking distance form St Marks Square. Grocery store around the corner. Highly recommend, very clean and air conditioning :). Clean and well located and functional, the service provided by Fosca was very nice. very nice apartment, but we had to re-arrange the bed situation as the single bed/sofa was put in the bedroom with the double bed instead of the room with the two single beds, but it was easy to adjust this. everything worked very well- thank you! The apartment is centrally located, very well located for restaurants. The air conditioning is very good. 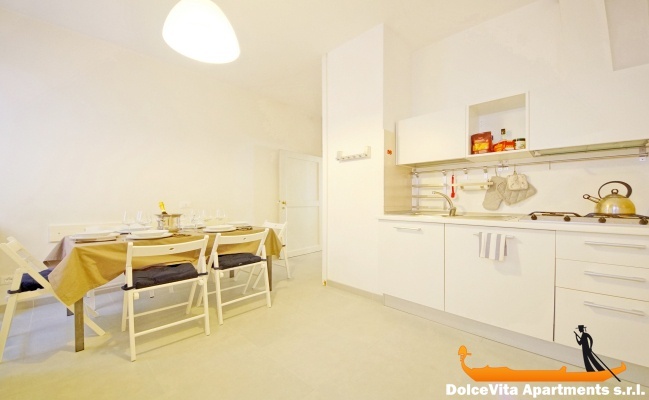 Apartment in the center of Venice, spacious, well equipped. Excellent value for money. Very friendly neighbors. Perfect Welcome, managers were particularly accommodating. Apartment #161 deserves the maximum rate for its exceptional position, which is an average of about 7 minutes walk from Saint Mark, Rialto and Fondamente Nuove (jetty to Murano and the other islands), as it gives a glowing square - as it is served, just below the house there are several shops including a supermarket; it's a big and bright house - it is large enough for 7/8 people - finally, because it is clean and well maintained. Apartment very well located, bright, comfortable and very quiet.